This latest installment of Numm was much better than the last few episodes primarily because unlike the previous episodes, there were scenes in which I felt that connection with the characters which seemed to be completely lost before. The scene between Wali and Neelam in which they shared past memories with each other was very sweet. Sadly, the sweetness did not last for long! I find most of the romantic scenes in this play extremely nauseating; the scene between Wali and Neelam in which they are discussing their honeymoon plans was anything but cute. I must say that until now my favorite characters in the play have to be Bare Sahab and Amtul. I find the way Bare Sahab treats Wali rather amusing. He doesn’t take anything that Wali says seriously and rightly so too. Wali may claim to be in a very unfair situation but there are times when it seems like he is making the most of it. Mahjabeen was the flavor of the month when Neelam was away and now that Neelam is back, Wali thinks it is more convenient for him if Mahjabeen minds her own business. Unfortunately, I find the leading characters of the play least likeable. 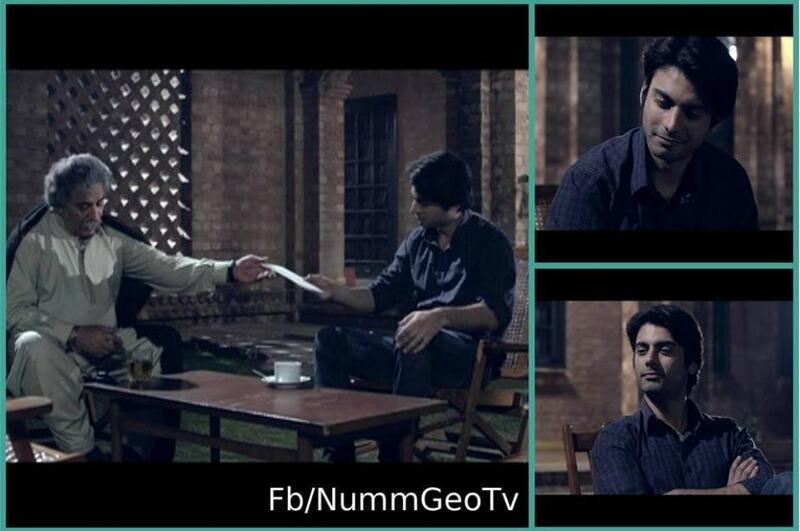 There is absolutely nothing about Wali’s character that would make the viewers think that he is a good person. Mahjabeen has failed to gain my sympathy because I just can’t seem to relate to her character at all. A few more flashback scenes and a more convincing narration of events would have helped build up the character. 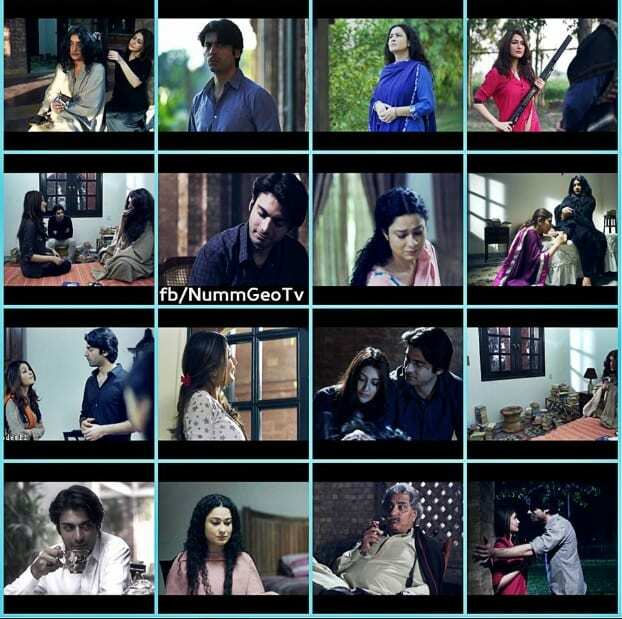 Neelam’s character has been etched out nicely but Kanza Wyne’s acting proves to be highly “distracting”. I must applaud Farah Shah’s brilliant performance right from the start. She has breathed life into a very difficult character and has made it stand out. The relationship between Amtul and Neelam is one of the best things about this play. Neelam and Amtul both are outcasts and victims in their own way. Also, the only time I truly like Neelam’s character is when I see her interacting with Amtul; she knows that Amtul can give her absolutely nothing in return for all the time she spends with her but she cannot help but love her anyway. This goes to show that Neelam is a good person at heart. Amtul and Wali’s interactions today went to show that there is a tension between the two. The reason for that possibly could be that Mahjabeen is Wali’s Vani or maybe something else. I am sure we will find out in the next ten episodes or so since the mysteries don’t get solved too quickly in Numm, which basically kills the spirit of adding the mysteries to the play. The curiosity to find out what actually transpired almost dies by the time the truth is unveiled. Wali, like a spoiled kid is looking for “hobbies” to keep him away from the politics in the house. Bare Sahab had a long list of options, non of which sounded even slightly inspiring but then Wal is not looking for inspiration! Numm is incomplete unless someone makes some kind of a reference to Mahjabeen’s hair. In this episode as well, once again Mahjabeen sits in front of the mirror, looks at her hair and thinks of the way Wali looked at her when she dyed her hair. The fascination with the hair is beyond me! Although, I really liked the scene between Wali and Neelam because that scene went to show how they were slowly coming closer to each other but at the same time it was a little confusing. Neelam said that Wali’s father only went to talk to Mahjabeen’s family but in one of the flashbacks we saw that he left home with the intention of killing someone. Maybe that is what Wali’s family told their relatives and friends. The background music was very loud and ever present like always. Numm is a difficult play to review because you need to watch it several times in order to make out what is being said. Overall, a much better episode but not the sort that makes up for all the previous boring and dull ones that the viewers had to put up with. A few more episodes like this one and maybe I will have a reason to change my mind about Numm but the next episode’s preview showed more cat fights so it would probably be back to Neelam and Mahjabeen’s fights and who Wali supports *yawn* !